•Surprise a faraway friend with this elegant array of Christmas flowers. 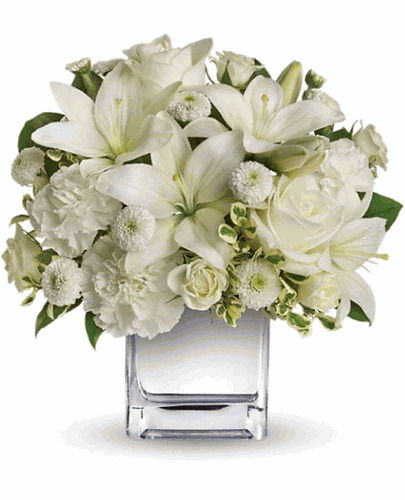 •White roses, lilies and other favorites are displayed in a chic mirrored silver cube. •Simple and affordable, it is a lovely gift that will brighten spirits without breaking your bank.